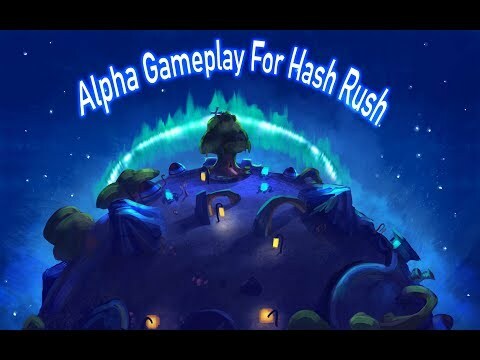 Hash Rush is a unique browser game, that makes cryptocurrency mining fun and available to a large audience. Think of it as Age of Empires with a huge twist: All the ore you mine, you get to keep. At its heart, Hash Rush is an RTS game — the goal is to conquer the galaxy, by building, maintaining and expanding your colony. But what makes Hash Rush unique is its focus on cryptocurrency mining. Over the last year or so, we have developed an Ethereum-based crypto token called Rush Coin (RC). Rush Coin is the main currency of Hash Rush. Once you got a hold on some Rush Coins, you can use them for in-game transactions. Spend Rush Coin to upgrade your colony, fend off natural disasters or create more miners — it’s your choice. Hash Rush comes with a trading system used for trading valuable items. This allows you to sell unwanted items and get some Rush Coins in return. Well, Hash Rush comes with a variety of items, which may help your miners, engineers and prospectors to do their job better. For instance, binoculars allow your prospectors to look farther and reveal more territory. Every unit and item a player buys or receives, comes with a card. These cards are tradable. Once you own a card, you also gain its perks. For instance, one card provides the holder with extra mining power. But this is just one example. We are planning on releasing a variety of cards that provide different perks. Some are common, and others will be more unique (and more valuable). Trading simply brings another dimension to the Hash Rush game. As you can see, there are many ways to earn Rush Coins — and many reasons to keep playing.